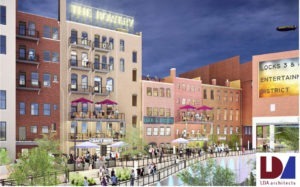 Cleveland.com – July 24, 2018 – Akron , Ohio – Developers are eyeing the finish line in compiling financing for the $40 million Bowery project, which aims to transform a stretch of long-empty buildings in downtown Akron. The Bowery Development Group — DeHoff Development Co. and the Welty Building Co. – plans to redevelop the historic 12-story Landmark building and five smaller retail buildings from 164 South Main St. to 184 South Main St. 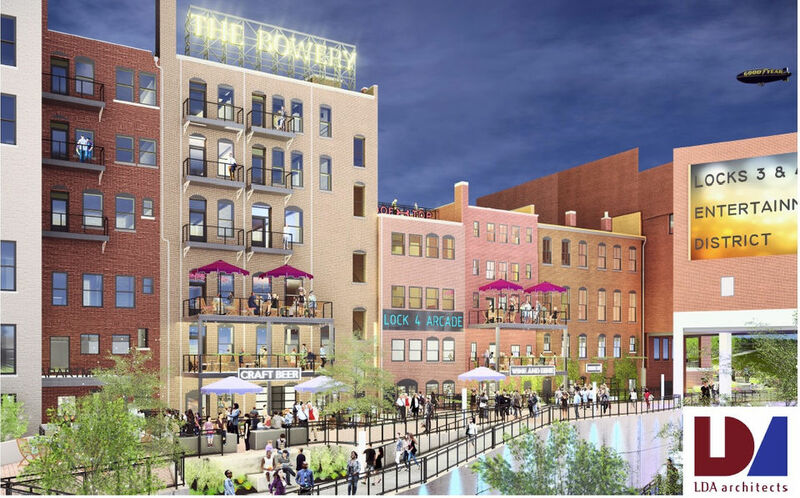 The Bowery project includes apartments on upper floors and stores, restaurants, a microbrewery and a grocery store on the levels below, said Beth Borda, DeHoff’s vice president of development. “When the music stops, the Lock 4 Arcade is not a good candidate for conventional financing,” Hardy said. 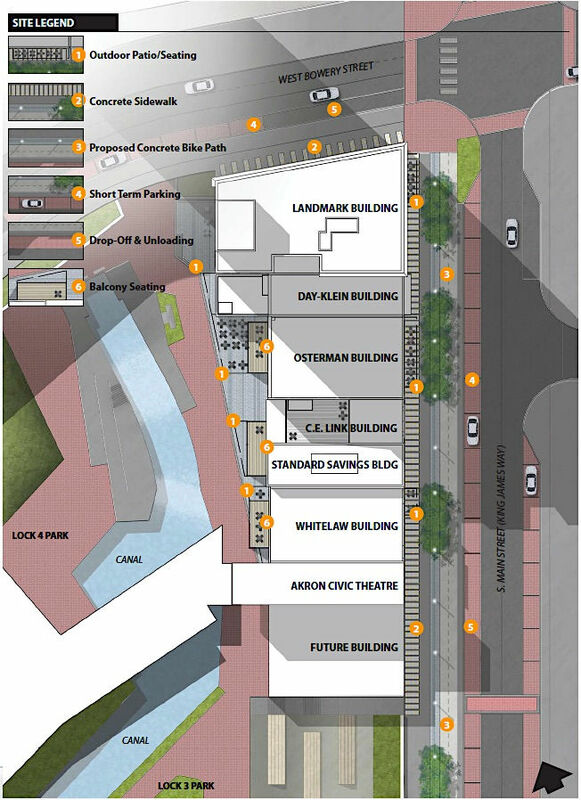 And without it, people wishing to shop or dine would have to enter through Lock 3 to the south, or walk around the block to Lock 4 and enter off West Bowery Street. Both entryways involve stairs. Most of the buildings have been neglected for so many years and major reconstruction is needed. With $5 million in Ohio Historic Preservation Tax Credits,historic elements of the buildings must be preserved, she said. One question Borda says she’s been asked by potential tenants is where people will park. 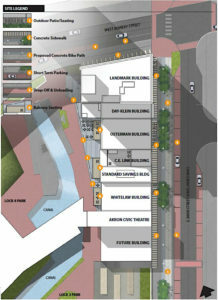 The Cascade Parking Deck with space for 2,000 vehicles is next door and runs under Bowery Street, she said. A few other decks are nearby. “We’re all going to supporting each other, which is kind of a unique circumstance,” Borda said. One interesting amenity for residents of the Bowery will be the “Woof Roof,” a kind of green roof designed for dogs on the Lock 4 Arcade building. Out back, the developers are adding a dog washing station as well.